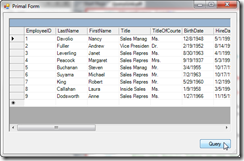 Click here to view a video of the Database Browser! 2. 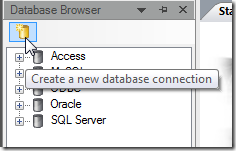 Use the Database Browser to drag a table you wish to query onto the Form Designer. It will automatically create a grid and the necessary code to fill the grid. 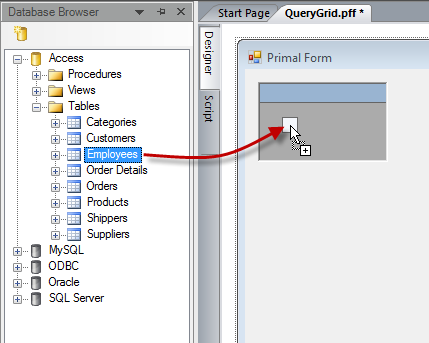 Fig 2: Drag the Table or View in the Designer to create the grid with query script. 3. 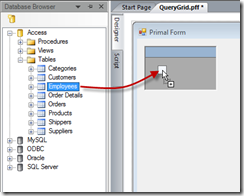 Call the generated function to run the query and load the DataGrid with the results.